For thirty-nine years, every time March 30th rolls around, my mind takes a journey back in time and thinks of the loss of two fellow Soldiers. Every year. Unprompted by anything other than a mental post-it note reminding me that on this day, two brave young men gave their lives for their country. This year, I started thinking about it earlier – probably because of where I am, with the frequent reminders, especially since the Iraqis started landing Hueys across the street. There’s something about that sound, like the smell of freshly baked cookies, that triggers the memory banks, brings into focus the original circumstances associated with that sound or smell, and makes you stop. And remember. Part of me said, don’t do it, it could be bad luck. 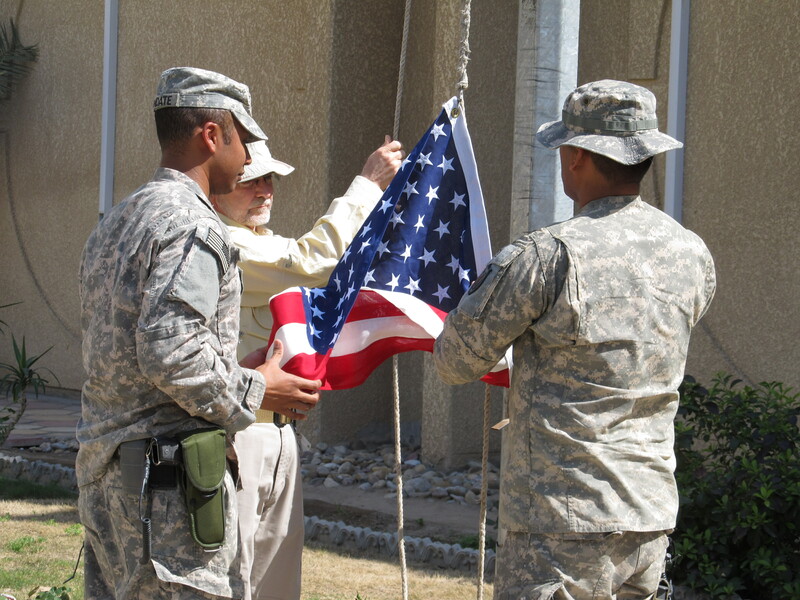 But a stronger urge prompted me to order a flag and then ask the NCO’s in our directorate if they would do the honors and raise a flag for me in memory of Specialists Westcott and Crosby. Of course, once I shared with them the story of Easter Offensive and the last days of the 407th Radio Research Detachment, they were more than happy to accommodate me. 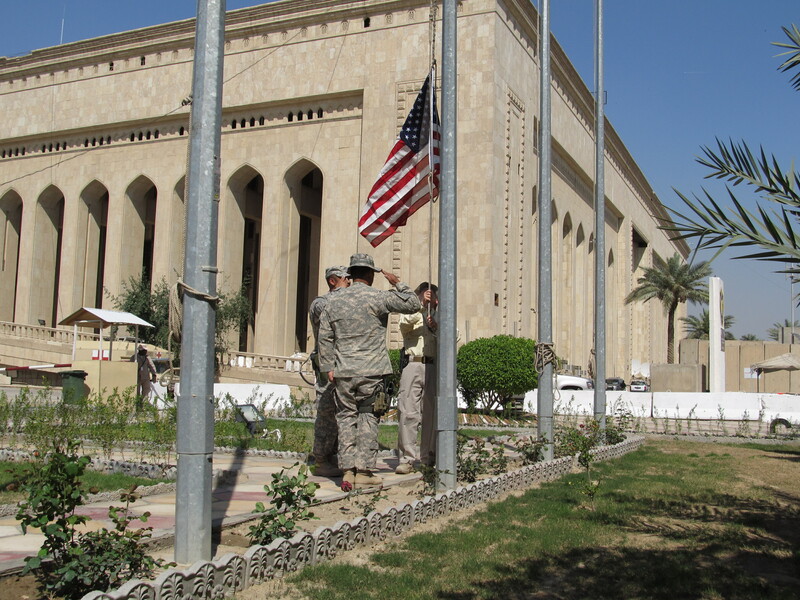 So, on the afternoon of 30 March, 2011, at just a few minutes after 1400 hours here in Baghdad, a flag was raised over United States Forces – Iraq’s Forward Operating Base Union III in memory of Specialist Five Bruce Crosby and Specialist Five Gary Westcott. Fellow Soldiers killed in battle thirty-nine years ago that day during the opening barrage of the North Vietnamese Strategic Offensive – known by us as the Easter Offensive. Wednesday was quite an experience for me. 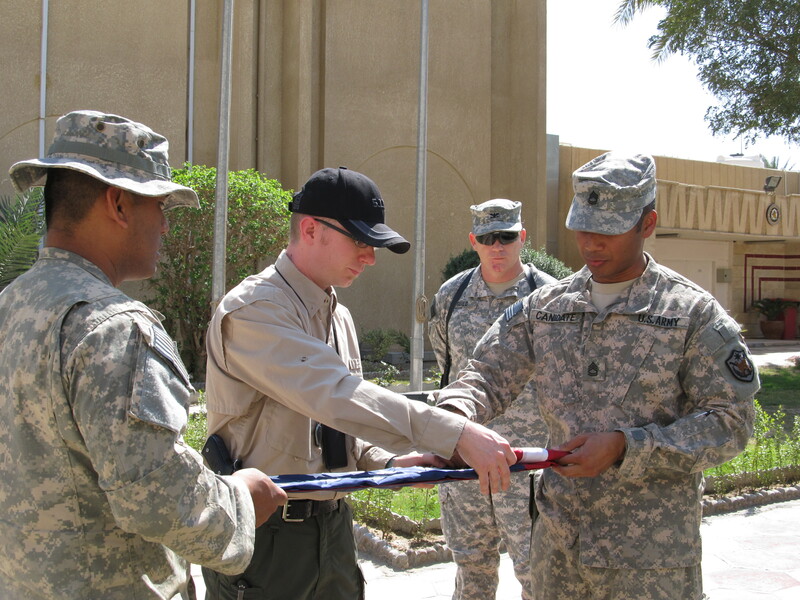 Sergeant First Class C (right), Sergeant First Class S (USAR) (center) and Staff Sergeant P (left) walked me through the practice folding of the flag. 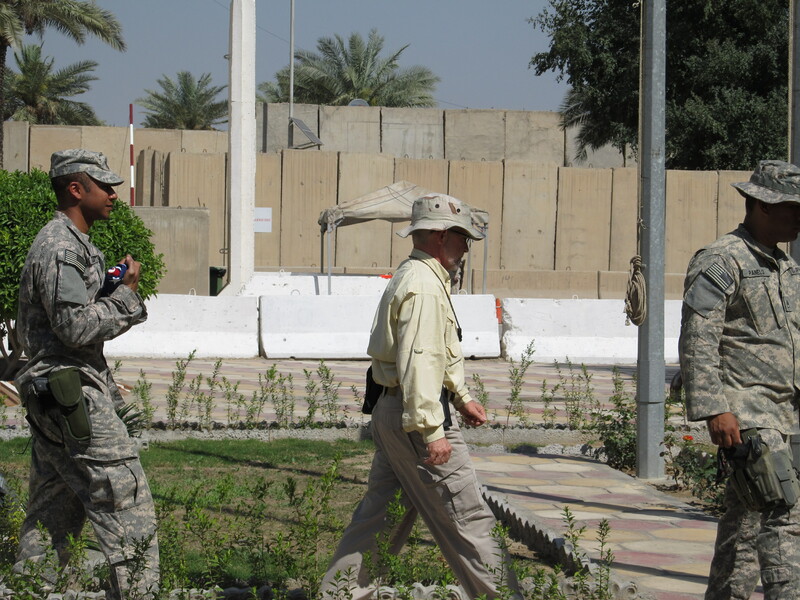 In the background you can see Colonel G, my current boss, who when he heard about what we were doing asked if he could attend as well. 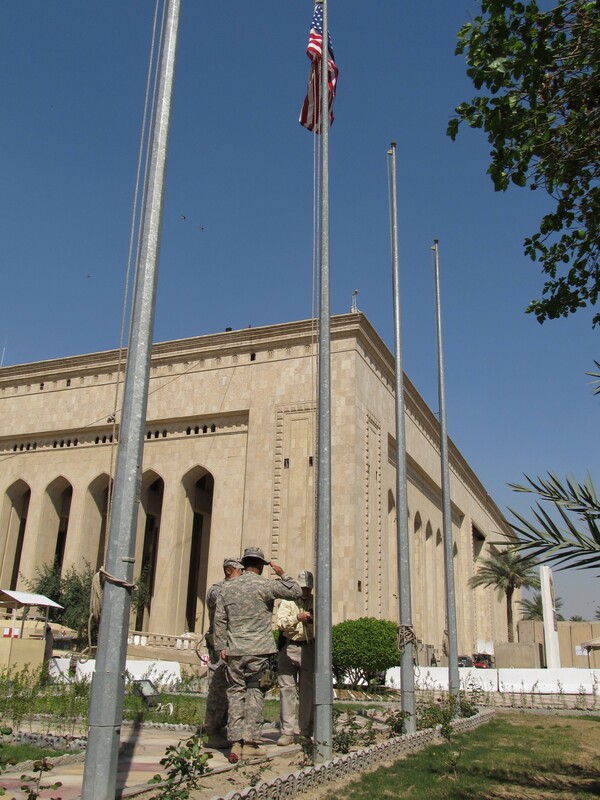 After a review of flag folding, they showed me what would take place, how they’d be positioned, and reviewed the protocol of raising and lowering the flag. I thought they were just giving me some ideas for when and where I could take pictures, little did I know they would let this old retired Soldier actually participate in the raising, lowering and folding. Step by step they took me through each part to make sure I was comfortable with everything they were going to do, and then they told me, “you’re doing this, we’ve decided you should raise and lower the flag.” It’s been 21 years since I performed any “drill and ceremony,” and was really afraid that I’d mess something up, but they had prepared me well! 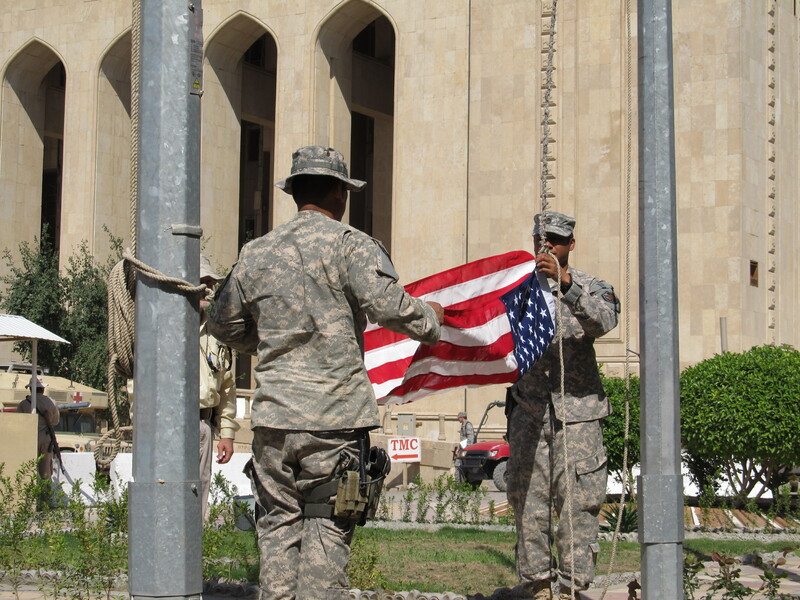 The rest of these pictures tell the story … we marched to the flagpole (I was surprised to see in the picture that I was actually in step with them), and I held the rope as the NCOs carefully attached the flag and I began the flag’s ascent to the top. 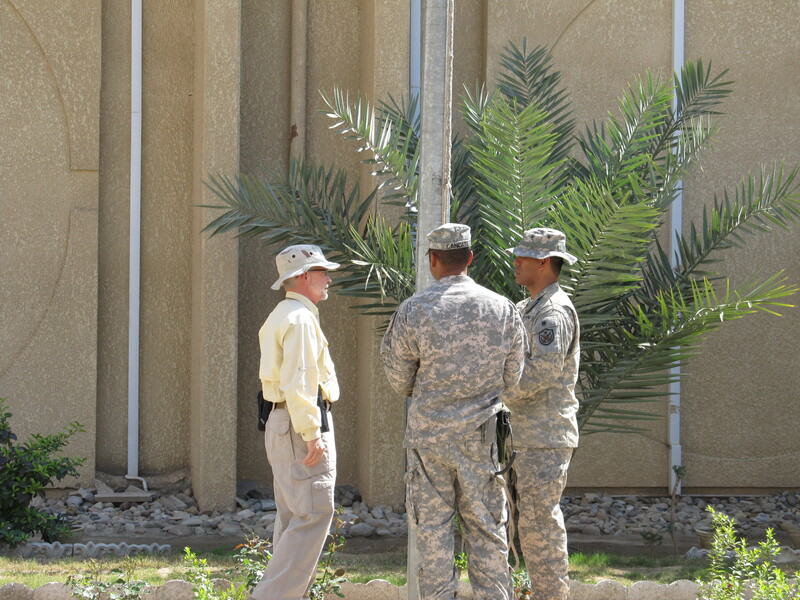 As I started raising the flag, out of the corner of my eye I saw the slow hand salutes start, and then I heard, “Specialist Crosby,” followed by, “Specialist Westcott.” It was all I could do to maintain my composure and continue raising the flag. 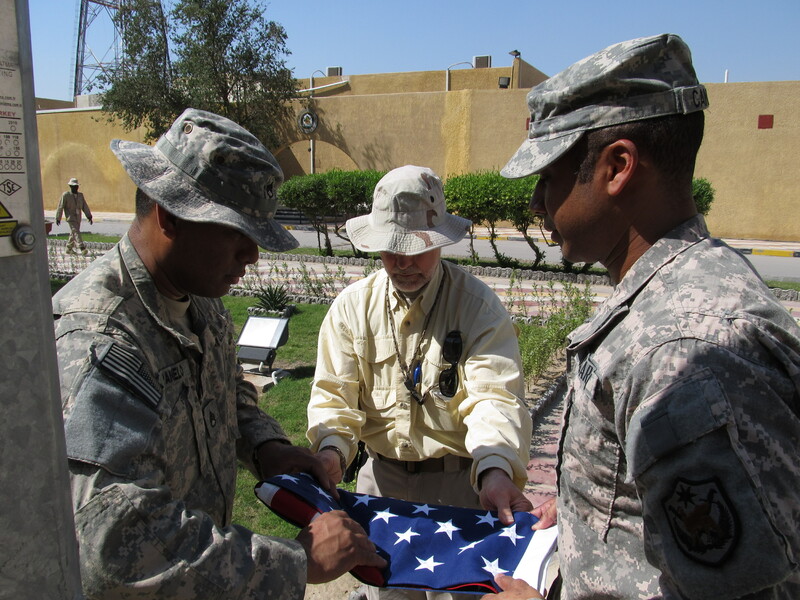 The Flag was also flown in honor of another fellow Soldier, Patriot and Friend, and is now in his hands for safekeeping and remembrance. Thanks John. Duane I have visited this site many times. I always say a Prayer that they would Soar as on Wings of Eagles. I also shed my tears of loss and ask for forgiveness for the many ways I dishonored the memory of all those who served. I for many years was not a very good image of a vietnam Veteran. God has kept me, US and I hope and Pray I’ll do as he says when he says it. God Bless us everyone. Duane, I just read this and couldn’t help but shed a few real tears sir. Like you, I have a very hard time on August 30th every year for the last forty years. On that day in 1970, I lost a very dear friend in Nam from a direct hit on the 330th RRC ops building in Nha Trang. I will never forget the last incredible words he said two hours earlier. “Nothing can hurt Superman!” Hope I am not intruding in any way. Greetings Mr. Rios, fellow Radio Research Vietnam vet. 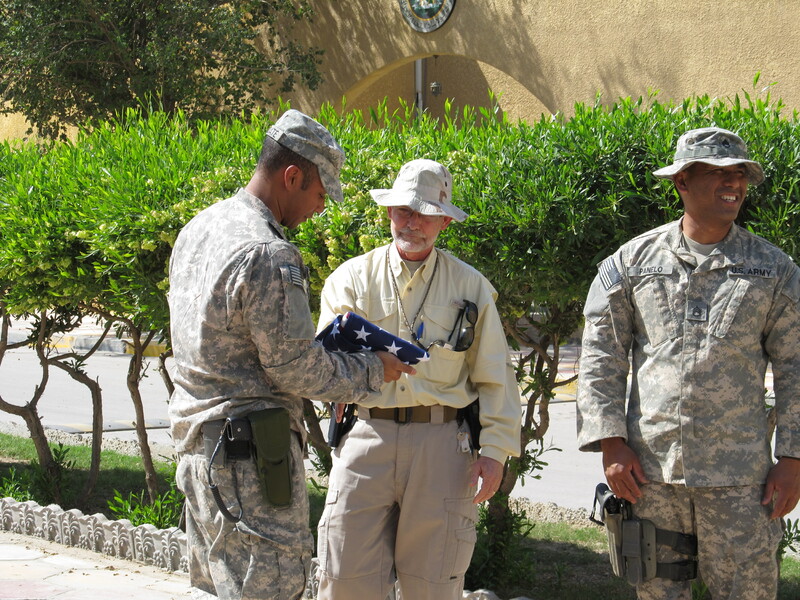 Thank YOU for your service and your continued remembrance of our fellow Soldiers who paid the ultimate in service. I am sure your comments will ring true with all who served, and with the annual reminders our minds bring us, I am reminded of the truism, “… some sacrificed all, all sacrificed.” I personally believe that it is a form of honor that those of us who made it back have those moments of remembering and honoring our fallen comrades. Every time I hear a Huey, my mind goes back in time and I raise a silent toast to Bruce and Gary and those whose names I do not know for their sacrifice. I hope that we will always remember, and take the time occasionally to honor them through the lives we’ve been privileged to have. Never feel that you are intruding in any way … if you will pass me your friend’s name, the next time I’m near the Nolan building I’ll take a picture of his name on the statue for you. I know that I have replied directly by e-mail but just wanted to say ‘Thank you’ again. We are about one month from our reunion in New Orleans where we will honor Bruce and Gary again this coming Memorial Day weekend. Your ceremony will be read out loud to the group. It will be an honor. Keep the faith. Beautiful my Brother. Maybe getting pics inside during FM at Memorial Wall. Being worked by Co. Thanks John, it was a very moving and awesome little event. I definitely want to see your pictures. Wonderful, Duane, just wonderful. We will never forget them.